One of the tools that I really like to use along with Blender 3D for architectural visualization is SketchUp, because itâ€™s so easy and quick to create volumetric studies. When the volumetrics are defined and no change will be made to the project, then I start to work with realistic visualization tools in Blender 3D o render the project in LuxRender or YafaRay. But, if the volumetrics are created in SketchUp, we can export the model to Blender and start to work on the already scaled objects to speed up the production. 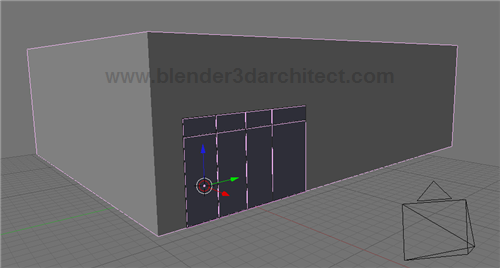 And since the model could be exported to Blender, nothing better than use some of the tools of SketchUp to create objects like Windows and Doors. 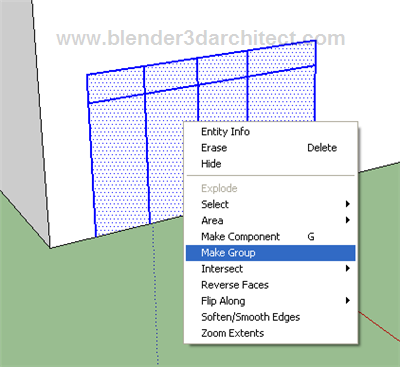 There are a few interesting plugins in SketchUp that can speed up the creation of windows and I will show one of them in this article. 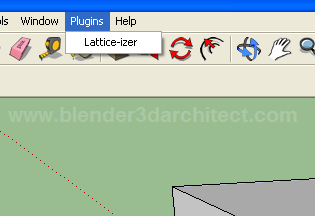 One of those plugins is the Lattice-izer that can create windows and curtain walls, from planes and lines. If you want to try iy, visit the official web site and download the plugin for free. 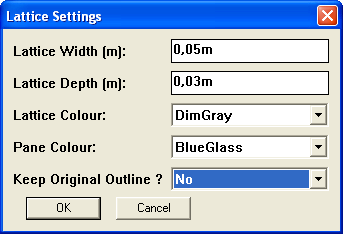 Put the script at the plugins folder of your SketchUp and it will appear at the plugins menu. 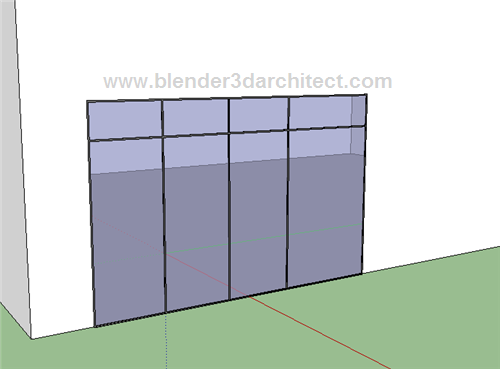 Here is what we have to do to model a curtain wall! Draw the curtain only using lines.  Now, select all the faces ans lines and convert it to a group. Just right click over the planes and select Make Group. With the group selected call the plugin and a menu will appear. There we will set the width and height of the curtain and the colors of the objects. Click ok and we will have a curtain wall created! How about Blender? If you want to export the model to Blender 3D, go to the file menu and choose Export -> 3D Model. Save the model as a KMZ file. This file is nothing more than a ZIP file, so change the extension of the file to ZIP and extract their contents. There we will find a file with the DAE extension, which is a 3d model saved in COLLADA format. Open Blender and go to the file -> import menu and choose COLLADA to import the file. Here is the model ready to be used or rendered in Blender. 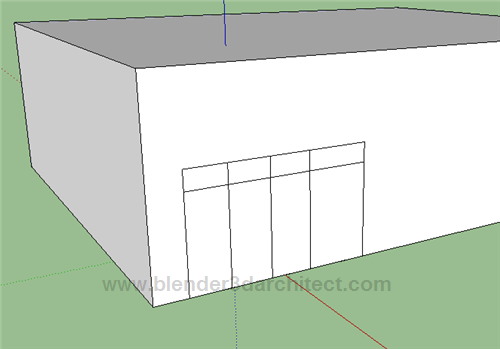 The downside of this is that almost all models from SketchUp come with a lot of triangular faces, and messy 3d models. Would be nice to see a wire view to check what you say about triangles ans messy 3D models.